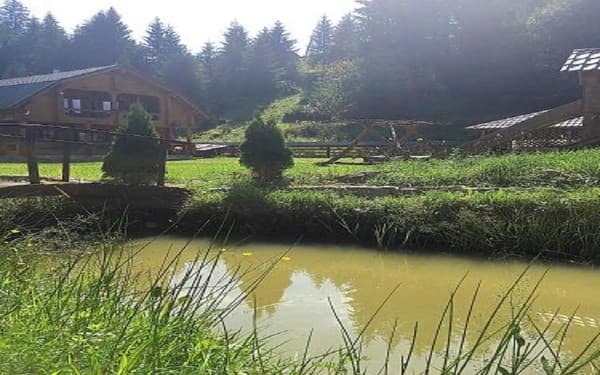 Private estate "Burkut" is located in a picturesque place in the village. The Iltsy. 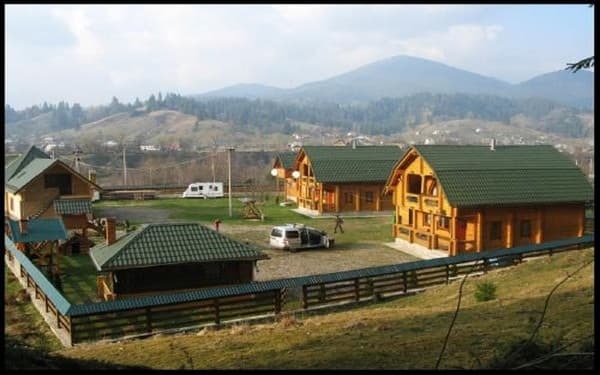 There are 2 wooden cottages (each with 6 beds). In the cottage on the 1st floor there is a guest room (a plasma TV, a fireplace, two folding sofas), a large kitchen (in which: an electric stove, a steamer, a fridge, an electric kettle, a washing machine), a bathroom with everything necessary. 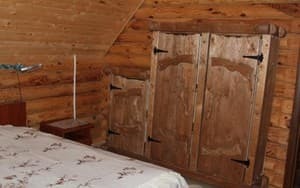 On the second floor of the cottage there are three double rooms (a double bed or a sofa bed, a balcony, a clothes hanger and a TV set), a hall with a large and comfortable sofa bed. Heating - autonomous. Cold, as well as hot water - around the clock. Convenient car parking. There is also a brazier and an iron for use. 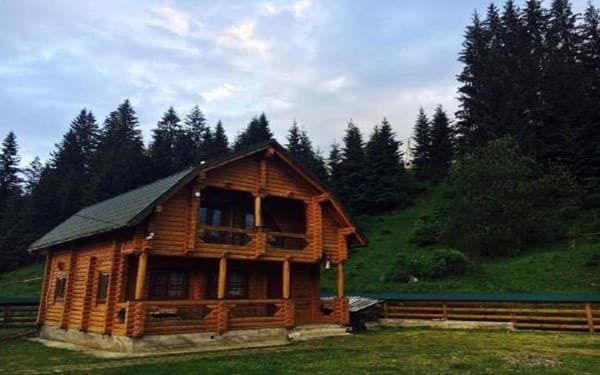 Nearby ski lift and rental of ski equipment and bicycles. Entertainment: hiking in the mountains, picking mushrooms and berries, fishing, chess, billiards, backgammon. 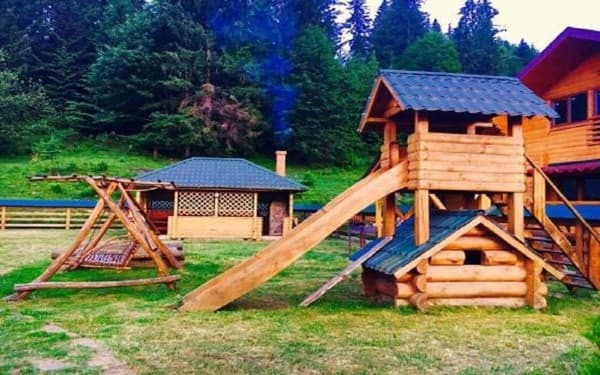 On the territory of the estate there is a playground, a kolyba (cafe), to the nearest store 500 m.
Description of the room: In the cottage on the first floor - a living room (2 sofa beds, a table with chairs), a kitchen with everything necessary, a bathroom. On the second floor there are 3 double rooms (a double bed or a sofa bed, a clothes hanger), a hall. In the hall of the cottage there is a fold-out sofa for 10 people. Two meals a day - by appointment. Home kitchen. Also there is everything necessary for self-cooking. 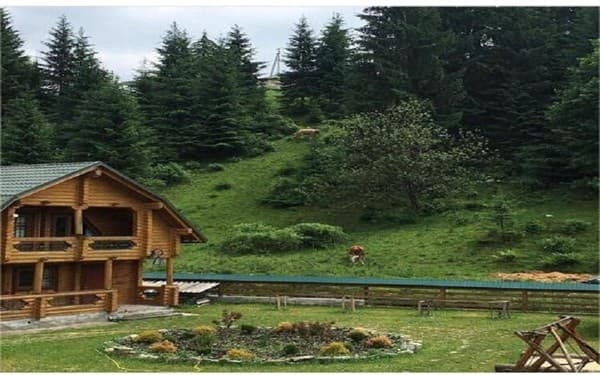 The private estate "Burkut" is located in the village of Iltsy - 7 km from Verkhovyna, 43 km from Bukovel, 500 m from the road. By public transport: by shuttle bus or by bus Ivano-Frankivsk - Verkhovyna up to. Iltsi. By car: from Ivano-Frankivsk (through the city of Yaremche) to p. Tatarov, in the village turn around the signpost to the village of Vorokhta or Kosiv. In with. Iltsy turn right after the sign to Burkut. Move over 2 bridges and near the forestry sign turn left (road up). Cottages will be on the right after 150 m.